Have you ever wondered what a social media marketing firm can do for your business? What can a social media marketing firm do for you? It’s quite possible that you haven’t really thought about all the possibilities that exist with social media marketing. In fact, the very idea of it may seem silly until you witness your competition increasing their market share, their revenues, and exceeding their lead generation goals (with minimal investment) while your business is becomes stagnant. The fact of the matter is that social media is not a fad or a trend; it is here to stay. As social media statistics will show, it’s popularity is exploding, and will continue to do so. If you haven’t implemented social media marketing into your business plan yet, your competition has, and they’re taking your current and potential customers from you. Social media marketing encompasses many medias, such as online local search directories (where people look to find companies and give reviews), blogging (like WordPress or Blogspot), social bookmarking (Like Digg), video marketing (like YouTube), and social interaction sites (like Facebook and Google+). Research is one of the most valuable benefits of using a social media marketing site. To create a successful social media marketing plan, you must have a specific target market in mind. In addition, you must understand which key words are being used to search for not only your company, but your competitors as well. A social media marketing firm understands how to perform this type of research and create media around those keywords. A social media marketing firm should also be able to assist you in a pay per click campaign, which will allow you to show ads to your specific demographics while their on their favorite sites. How do you measure this campaign? How would you like to earn $2.50 for every dollar spent? This knowledge is why a social media marketing firm is such a big benefit to small businesses. When people think of social media, they think of Twitter and Facebook. Another ‘cousin’ of social media is online local search directories, or the Internet’s version of the Yellow Pages. Honestly, when was the last time you actually used the Yellow Pages for something other than a booster seat or a doorstop? 92% of business locations are searched online. Why is this considered part of social media? Because people can interact with companies by leaving comments & reviews and downloading special offers & coupons. This type of 2 way communication is valuable, as is the search engine optimization potential. Having multiple online local search directories will help businesses get found and websites get ranked. A good social media marketing firm understands the best directories to go after and how to do it well. When businesses think of a social media site for their product, they always think of Facebook. But what is the best media for your product’s message? A good social media marketing firm will know the answer. If photos help sell your product (such as flowers or social places) then Pinterest may be a great choice for you. If you have ‘how to’ information to tell, then creating a video and using a video marketing site like YouTube may be a better focus. Do you have a blog and want to get your link to the masses? Then Twitter may work well for you. Want search engine ranking from your social network? Then Google+ should not be overlooked. Not all social media sites are created equally and a good social media marketing firm will detail which networking sites are best for you. 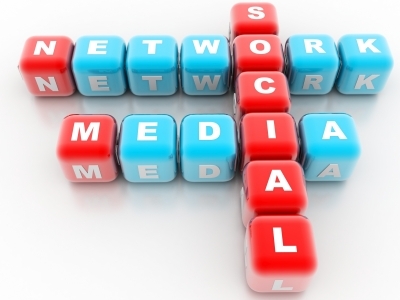 A social media marketing firm should be able to educate you on how the business runs as well. Now, you may want to outsource all of the work to another company. After all, you don’t have the extra labor costs, training costs, managerial costs, replacement costs, insurance costs, benefits costs, etc… involved with outsourcing that you do with hiring an employee. But over time, things can change. You may want to eventually hire and train a staff of social media marketers. That’s why utilizing a social media marketing firm with social media marketing courses is so important. If your business ever decides to change gears, you’ll want to know that you’re working with a company that will change gears with you and still support you during your transition. Therefore, when searching for a good firm, make sure you inquire about any social media marketing courses they have available. Finally, a plan is only as good as it is capable of being implemented. If you have to log into and interact with people on Facebook, Twitter, Google+, Pinterest, etc… multiple times a day, then your social media is running you rather than you running your marketing. Therefore, in addition to social media marketing courses, you’ll want to use a social media marketing firm that has a social media dashboard, which allows you to schedule, post, engage, and interact with all of your social networking sites from one simple location in just minutes a day. In conclusion, many small business owners view social media as something their teenager does from their cell phone. But in reality, social media marketing allows you to target your specific demographic from a pool of over a billion potential customers at a very low cost. Using a social media marketing firm who understands keyword research, the benefits of online local search directories, the different medias involved in social media, the best use for each type of social networking site, and how to train and implement a profitable social media marketing plan will assist you in surpassing your revenue goals for 2012.